Is 2016 your year to grow? At the start of 2015 there were 5.4 million private sector businesses in the UK – an increase of 146,000 since 2014. Small and medium sized businesses accounted for 99.9% of this figure, and had a combined annual turnover of £1.8 trillion. SMEs are essential to the continuing growth of the economy, so it’s important that they continue to thrive. 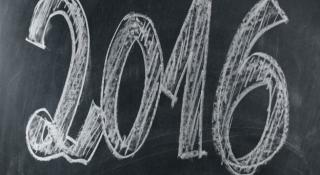 With the year soon coming to an end, you may be thinking about your own plans for 2016. So what would help you to grow over the next twelve months? For many businesses it could be employing more staff, branching out into new locations or markets, or buying new equipment. New equipment can give your business a new lease of life, helping to increase your productivity and improve the quality of your product or service. However, you might encounter a number of roadblocks when it comes to growth, and although new equipment can help businesses to generate more money, it can often be a problem for a small business to find the time source the right funding required to acquire the equipment you need. If you have found yourself trapped in a similar cycle, you may need a little help in financing new equipment to kick-start your growth plans. At Arkle we work with a network of specialist commercial finance brokers based across the UK, many of whom specialise in industry sectors and like Arkle will take the time to get to know your business. So when you’re talking to your broker please do ask them if they are “afl approved” and have access to our best facilities. With the high level of expertise we share with our “afl approved” brokers, we can offer you help with purchasing many types of equipment including I.T. equipment, transportation, and other commercial and industrial equipment for your premises. Whether you are looking at rental, hire purchase, a finance lease or other ways to finance your equipment, Arkle and a good commercial finance broker can provide professional advice on the best method for you, and help you to finance a range of equipment to get your year off to a flying start. Take a look at our Business Equipment Finance and Corporate Asset Finance pages and contact us to tell us about your business and find out more information on how we or our “afl approved” broker network can help you this year.